Lawrence "Larry" Kowalski, age 94, died peacefully with his family by his side, Tuesday, December 25, 2018. He was born on October 28, 1924 in Muskegon, Michigan to Bert & Louise Kowalski. Lawrence was married to Genevieve Inglat Kowalski who preceded him in death in 1980. 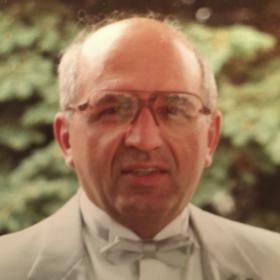 He remarried Anne Wozney in 1984. She also preceded him in death in 2012. He enjoyed his later years in life with his companion Wanda Runnels. Lawrence worked in the bowling industry for most of his life and enjoyed working at the Muskegon Eagles Arie #668 until he was in his mid eighties. 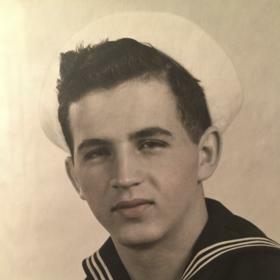 He was a proud veteran of the United States Navy and served his country during World War II. Children, Allen (Ann) Kowalski, MaryAnne (Dan Mahoney) Kowalski, Gerald Kowalski; grandchildren, Megan Kowalski, Jordan (Cailee) Kowalski, Patrick Mahoney, Margaret Mahoney; sister, Maxine (Paul) Andregg; step-children, Sharon Runnels, Steven (Kimberly) Klassen & their families; many nieces & nephews. He was preceded in death by his parents; brothers, Victor & Harold Kowalski. Friday, January 4, 2019, 3:00 PM with visitation 2 hours prior to the service at Clock Funeral Home - Muskegon. Internment in St. Mary's Cemetery.